Columbus & Hocking Valley No. 17 in 1882. Photo from the Edward H. Miller Collection. 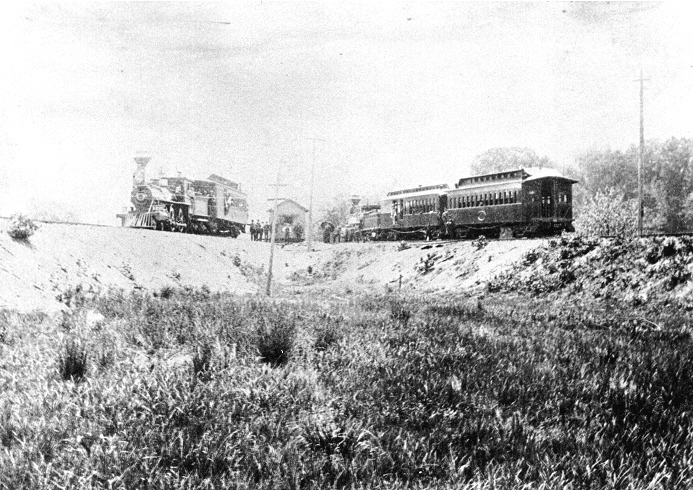 The Columbus and Hocking Valley Railroad had its inception as the Mineral Railroad, a company incorporated by Milbury Greene and others on April 14, 1864, to construct a railroad between Athens and Columbus, 76 miles. The incorporators spent the next three years raising the money necessary to build the line. The construction, which was done by Dodge, Case and Company, began on June 6, 1867, southward from Columbus. On June 26, 1867, the Franklin County Court of Common Pleas consented to the Mineral Railroad being renamed the Columbus and Hocking Valley Railroad. 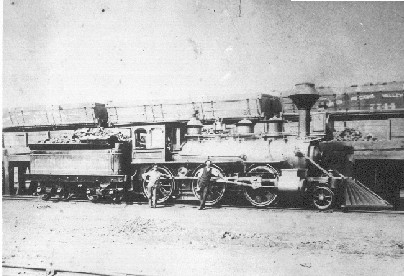 Rails reached Lancaster on September 16, 1868; Logan, May 11, 1869; Nelsonville, August 17, 1869, and Athens on July 25, 1870. The railroad's arrival in each of these towns involved an appropriate ceremony. 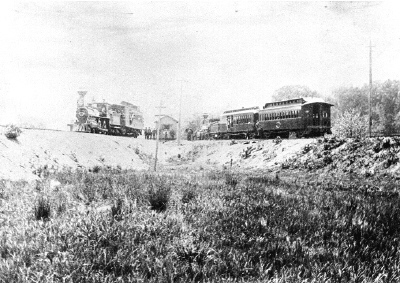 Two passenger trains meeting at Snow Fork Junction around 1890. Photo from the Edward H. Miller Collection. To reach the heart of the coalfield, completion of the 13-mile Straitsville Branch came on January 2, 1871. Several other branches followed, all of which interconnected. These included the Monday Creek Branch between Nelsonville and Monday Creek Junction, 16.8 miles, in 1880; the Snow Fork Branch from Snow Fork Junction to Murray City, 10.6 miles, in 1882; the Brush Fork Branch out of Brush Fork Junction to New Pittsburgh, 12.3 miles, in 1878; the Sand Run Branch, 2.5 miles, in 1880 and the Lost Run Branch, 2.1 miles, in about the late 1880's. 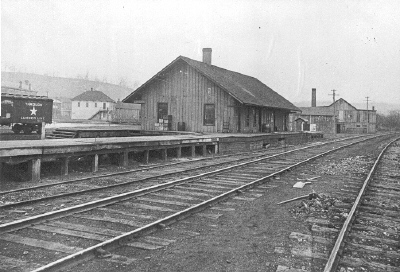 Nelsonville Freight Station 1890. Photo from the Edward H. Miller Collection.